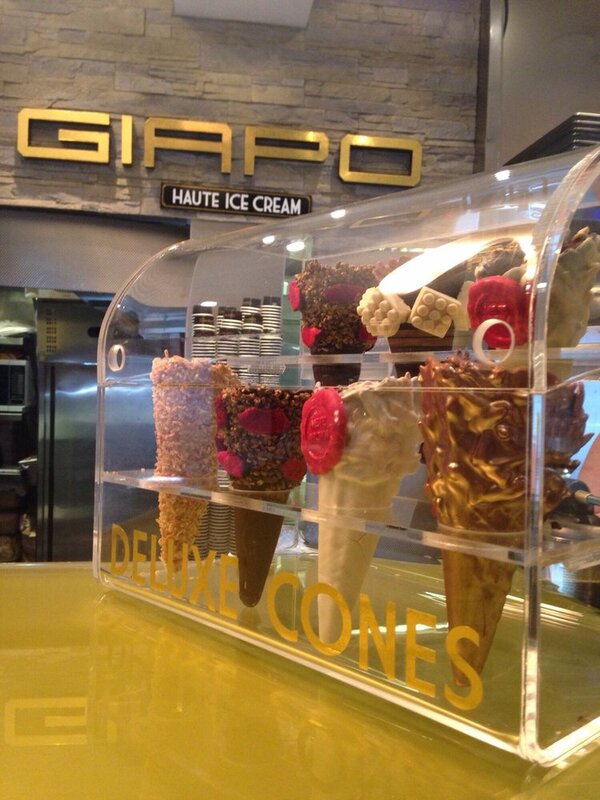 Giapo is one of my favourite places in Auckland CBD. I have been here several times since it opened in 2008 and it has always been a great experience. They had a re-vamp a few years ago, which looks great; however, you cannot see the ice cream flavours any more! I went last year and while I was sad about not seeing Giapo’s wonderful creations, the staff still let you sample all the ice creams – as many as you want. While a visual picture is important, deciding what you will have based just on taste does make it a little more exciting! 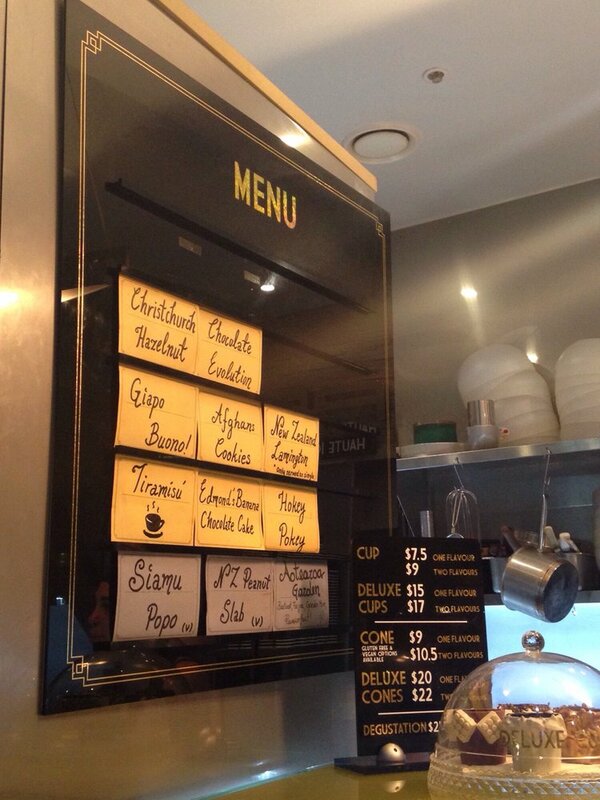 I ordered one scoop of the Cocoa Sorbet ($6). It by far my favourite flavour and the quality is amazing. It was drizzled with chocolate sauce and topped with freeze dried raspberries, which made it even more delicious! My friend went with a scoop of the Cocoa Sorbet and Pistachio flavours. 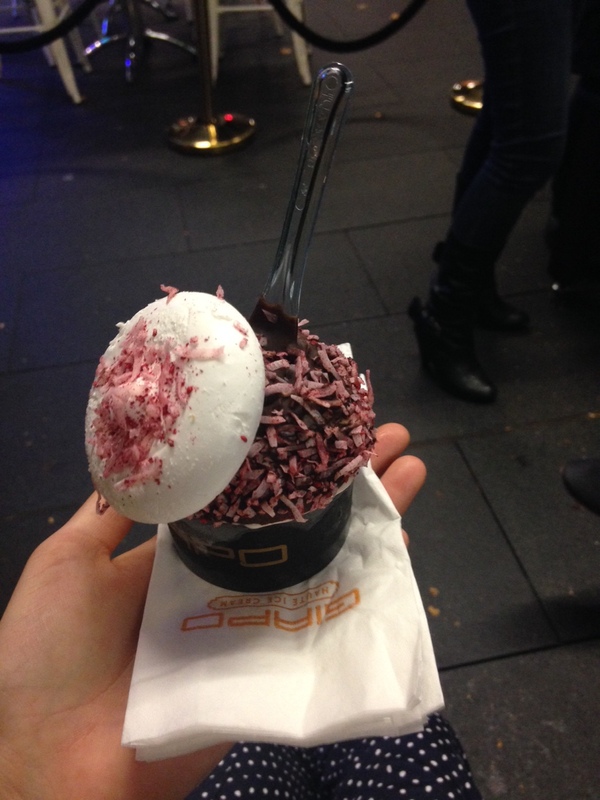 Hers came topped with a mini macaron – it looked like a work of art! Lately my favourite flavours have been the Samoan coconut, peanut slab, Giapo buono, Christchurch hazelnut and the New Zealand Lamington (which comes topped with a giant marshmallow!!!). All are amazing and well worth it! Highly highly recommend Giapo. It is in a great location, right near the movies and many restaurants, so perfect for that after-dinner treat. Staff are friendly and passionate about the ice cream, which makes the experience a whole lot better! Hands down my favourite place in Auckland. Have you tried the Edmond’s banana cake flavour? It’s the only flavour I haven’t tried! Would you recommend?? Yes definitely! But only if you are a banana fan.